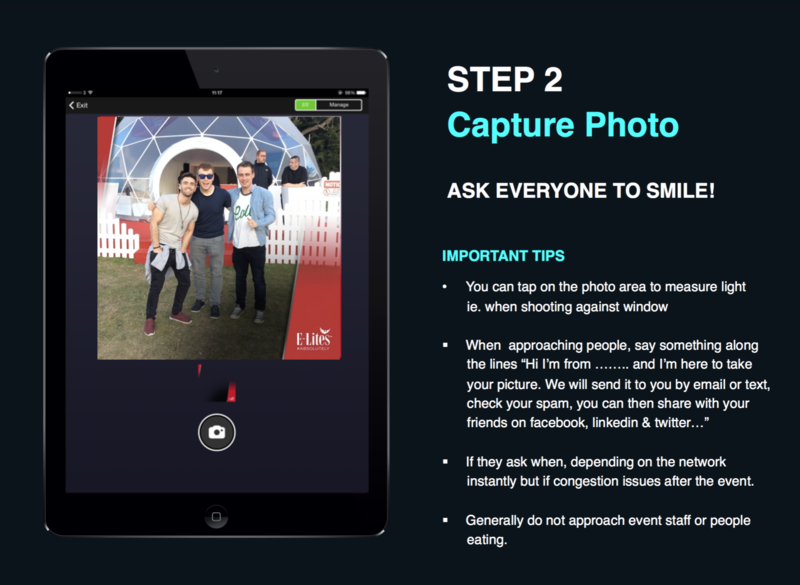 Once you have created your first campaign and chosen your specific branding, you can access the Snappie App in order to capture photos. Simply open the app on your tablet and type in the Device Key respective to the event and gallery you want to upload the pictures to. An internet connection is necessary for accessing the Snappie App, to ensure the branding & logos are loaded on to the app. There is no further connection required, once you have accessed the app. Click the Finish button (you can also take additional photos at this point). 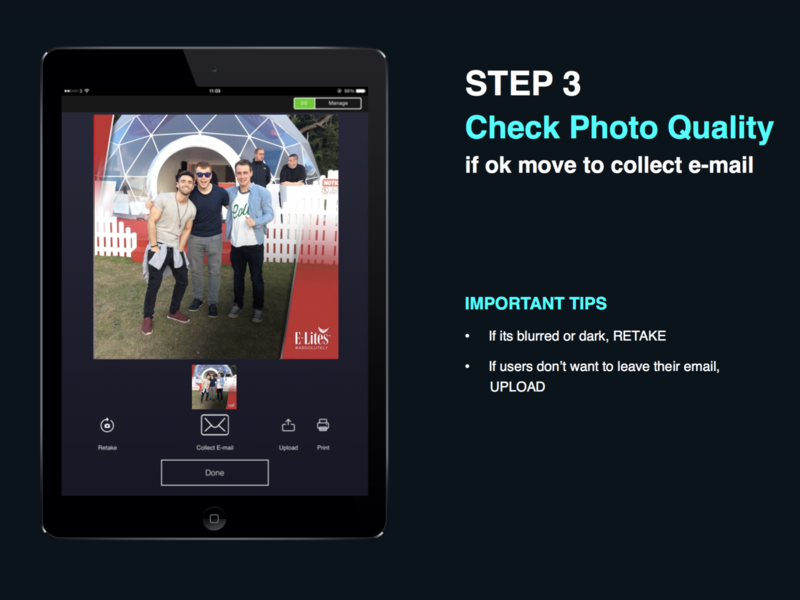 At the end of the event, click the right top corner of the app to make sure that the number of photos uploaded equals the number of photos approved. If the numbers are equal, your data was sent successfully to the user. 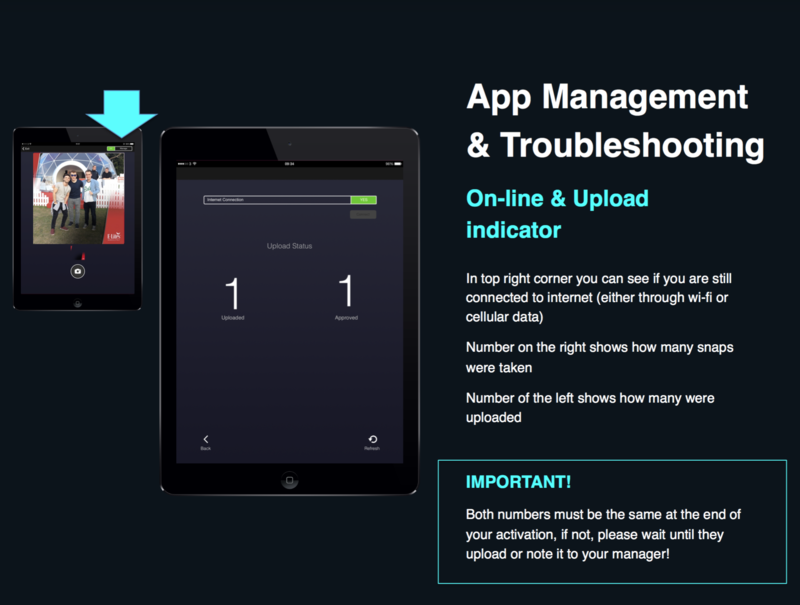 If the number of photos approved and uploaded is not the same, leave the application running with internet connection ( 3G or WIFI ) until the numbers are equal. You will need an internet connection to access the Snappie app to load photo overlay. However, you are able to load your photo overlays in an internet zone ( WIFI/ 3G) and then enter emails or phone numbers without having an internet connection at the time of capture.